Kathleen J. Johnson - Treece Alfrey Musat P.C. 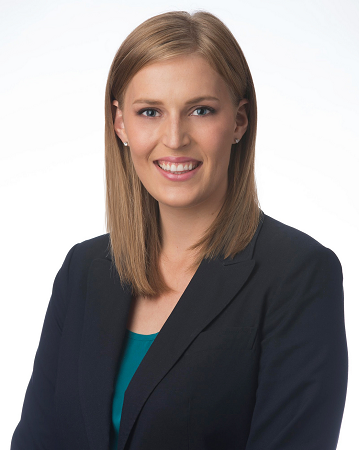 Kate Johnson joined TAM as an Associate in 2012 after completing a legal externship in the Aviation Law practice group and clerking with the firm in 2011. Kate has a diverse background in aviation education and flight experience, having majored in flight sciences and graduated at the top of her class, where she earned her commercial pilot certificate with instrument and multi-engine ratings. She is licensed in both Colorado and Wyoming. Prior to attending law school, Kate continued professional piloting, earning her airplane single engine sea rating and working as a bush pilot in Alaska for an adventure transportation and outfitting company. During law school, Kate served as Director of Operations for a flying club near Boston, where she drafted various aircraft leases and Part 135 charter documents, coordinated helicopter tours and lessons, and earned her private helicopter rating in the formidable Robinson R44. Kate has also worked in a variety of areas for FBOs and airports, from customer service to logistics to FAA Advisory Circulars compliance, and understands both the financial and operations sides of the aviation business. In recognition of her outstanding work in aviation litigation, Kate was listed as the only Rising Star in the field of Aviation & Aerospace in SuperLawyer’s 2017 and 2018 Colorado editions. At TAM, Kate’s practice focus is in aviation and general liability defense. Outside of work, Kate is an avid angler, bow hunter, touring cyclist, and outdoor adventurer.